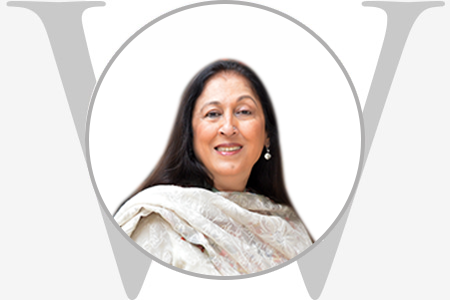 A leading patron of the arts, Kiran Nadar opened the country’s first private museum The Kiran Nadar Museum of Art in 2010. With over 5000 works representing modern and contemporary art, the museum is a non-profit entity that educates, supports artistic talent and promotes Indian art on a global scale through collaborations with some of the world’s top museums. Starting as a serious collector, Kiran became a pioneer in demonstrating the importance of patronage in India’s cultural context and has made significant contributions to India’s cultural infrastructure. UK’s influential ArtReview ranks her among the 100 most influential people in contemporary art.